Respected artist George Flett passed away on Jan. 30 at age 66. For two decades now, members of four Inland Northwest tribes — the Spokane, Coeur d’Alene, Kalispel and Colville Confederated — have united as one to share the dances and songs of their ancestors during an annual Friendship Dance. This year marks the 21st time the groups will do so, taking place this weekend at the Pend Oreille Pavilion at Northern Quest Resort and Casino. Bells sewn onto colorfully beaded and feather-adorned traditional costumes will tinkle along to heart-pounding drumbeats echoing through the room as dancers reenact the age-old performances accompanying songs with names like the Snake Dance and the Prairie Chicken Dance. This time around, the celebration of traditional song and dance will be in tribute to nationally recognized artist and Spokane Tribe member George Flett, who passed away on Jan. 30 at the age of 66 due to complications from diabetes. Organizers of this year’s Friendship Dance had planned to honor Flett months before his death, says Sue Bradley, owner of the Tinman Gallery on West Garland. Bradley personally knew Flett and featured his work at Tinman. Flett created in many different media, including beadwork and sculpture, but was best known for his ledger art, an American Indian art form that originated in the mid-1800s and involves painting scenes of heroic deeds or sacred visions on pages of U.S. Army ledger books. Flett’s vividly colored ledger art was based on the history and traditions of the Spokane Tribe. He was a well-respected elder member of the tribe for both his artwork and his gentle personality. 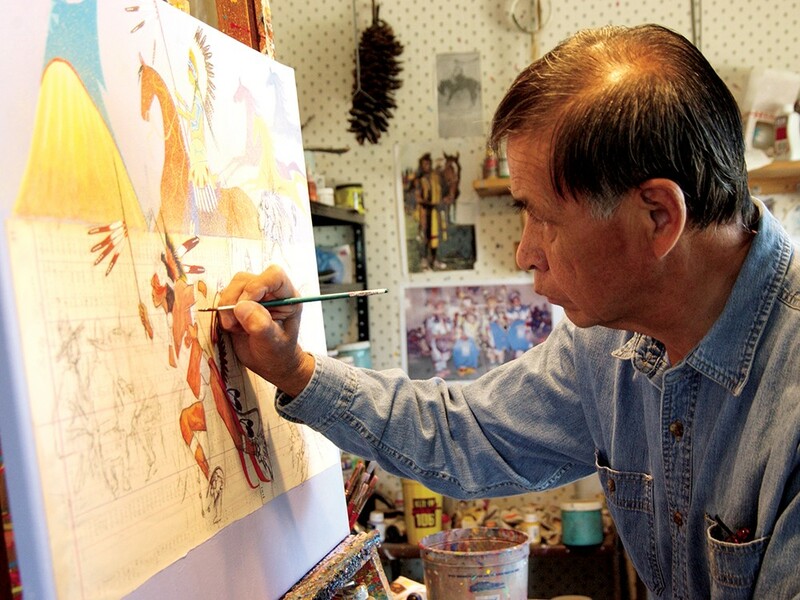 Flett’s work has been shown in galleries across the U.S. as well as the Inland Northwest.